I was recently searching around for some new watches because who doesn’t want a new piece of jewelry? A practical one at that. And whilst searching decided to check out the men’s collection and discovered the variety at Nordstrom, all the options above are under $100! A watch is definitely a great way to add a little sophistication to a look and appear to be timely, even if you’re not! Linking up with On the Daily Express, More Pieces of Me, Walking in Memphis in High Heels & Fizz and Frosting! 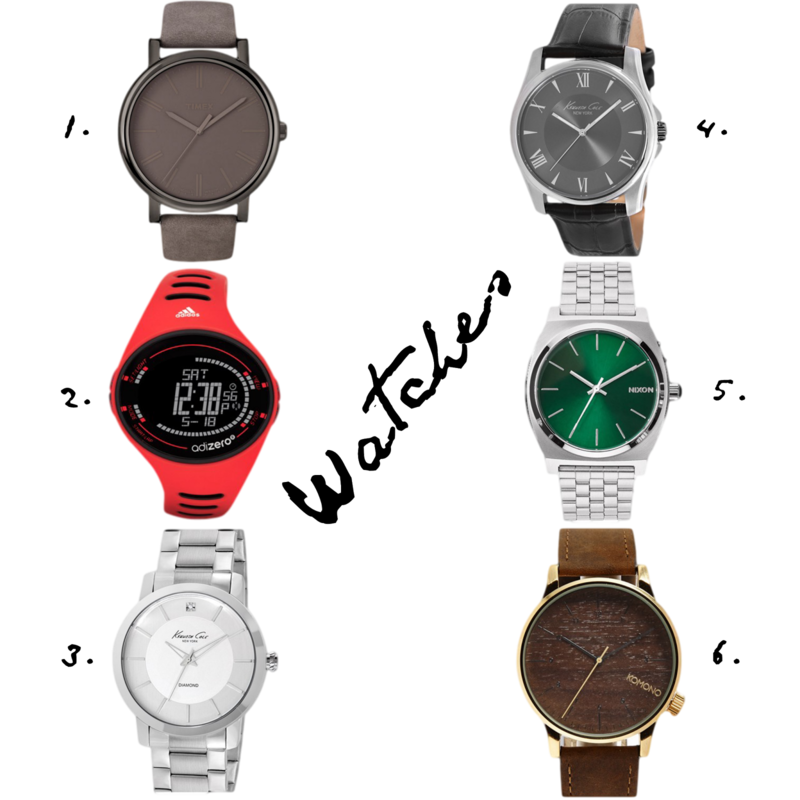 These are some great looking watches! I think #3 is my favorite! I love the first one! I'm always a fan of the monochromatic look. I used to never wear watches and now I feel so naked without one.